It’s sad to say that after eight months of trying to evolve into the best Sharky I can be I’m still trying to make changes with baby steps. I dropped 110 lbs in six months but then hit a road block in July but I recovered and I headed in August with hopes of just destroying it but cheat day after cheat day led me to realize a lot about myself and this journey. I have to say that this chapter really taught me where I am as a person and where I want to be. I finally realized that I’m not getting anything out of cheat days…the food doesn’t even taste that good anymore (and it never actually meets my expectations) and I feel like crap both physically and mentally and it usually sets me back about a week. It’s been a long journey but near the middle of August I really showed myself that I could do it- I completed a 48 hour fast and got right back into Sharktosis and it’s been smooth sailing since then…every time I have a craving, I find a Sharketo friendly replacement and remind myself that not following the program just isn’t worth it- no matter how amazing that food looks or smells it will NOT taste the way I remember and it’s not worth screwing up again to realize what I already know. Once I got back on track everything just really start flowing and I’m doing it without much effort or even thinking- I know what I can and can’t eat and I just stick with that. At the end of August I had dropped 6 lbs for the month (but was really only a couple of weeks due to cheat days) and I was back on the plan and getting ready for our first 5K event in September. I have recovered so many times…from so many cheat days and stress filled stupidity and I’m showing myself that I can screw up but quickly get back where I need to be….the thing is to focus on baby steps and just actually doing what I need to do. I don’t need to drop 110 lbs in six months- I just need to follow the program and let the weight come off as it does…this isn’t a race. 6 lbs is amazing for me- I just adjusted my goals and continue moving forward…there is no looking back. 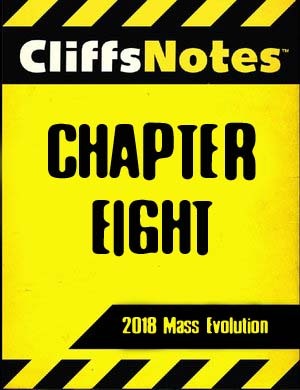 Chapter 8 is going to be awesome.